Chelsea have been handed a two transfer window ban and fined £460,000 by FIFA for breaching the rules for the transfer of minors. The decision is an outcome of a long investigation conducted by FIFA. One of these players is Bertrand Traore who is currently plying his trade in Ligue 1 playing for Lyon. This will have a huge impact on Chelsea's future plans. With Eden Hazard looking set to make an exit from Stamford Bridge to seal his dream move to Real Madrid C.F in the summer, Chelsea would have shortlisted players to replace the Belgian ace but that looks like a distant reality now. 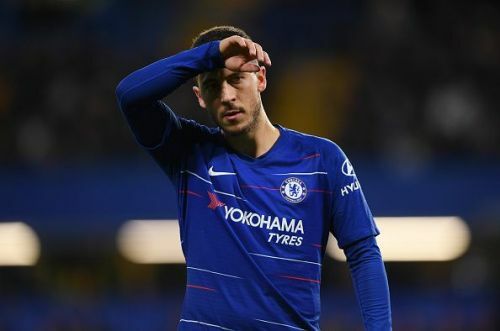 Amid the chaos, Chelsea fans are hopeful this means the club will refuse to sell Eden Hazard and this could mean Real Madrid may have to target someone else and change their plans for the summer. Although if Hazard stays adamant on his decision Chelsea may have to give in and the front line would be in shambles. Christian Pulisic's arrival in the summer would be a relief for the Blues but to think the American can replicate what Hazard has been doing for Chelsea in his very first season would be foolishness. Meanwhile, Mateo Kovacic would be moving back to Madrid in the summer as Chelsea cannot make his loan deal permanent owing to the ban. Losing the Croatian would come as a big blow as he has been one of the stand out performers for the Blues this season. Real Madrid would be happy to see the World Cup runner up returning but would have cherished more if Hazard makes a move instead. This would affect clubs like Atletico Madrid as well because Alvaro Morata's 18-month loan spell maybe cut short as Chelsea would like to call in all the quality players loaned out in order to put up a squad that can compete for Premier League next season. Bayern Munich would have to give up on their pursuit of Callum Hudson-Odoi as it looks like he'll not be allowed to make a switch in the summer. Victor Moses and Batshuayi also may have their loan deals cut short. Not only are the transfer plans ruined for the Blues, but they will also find it hard to replace Maurizio Sarri if they intend on sacking him, as it would be quite difficult for a new incoming manager to build a team according to his philosophy without any transfers. The Premier League club have said they will appeal against the decision and would be hoping FIFA may give them some extension or revoke the transfer ban. Chelsea will be looking forward to tying down their star players and blocking the transfers away from London. Mateo Kovačić: Does he deserve to stay at Chelsea? Is Mateo Kovacic doing enough for Chelsea and Maurizio Sarri?